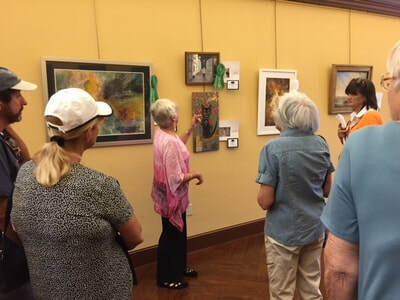 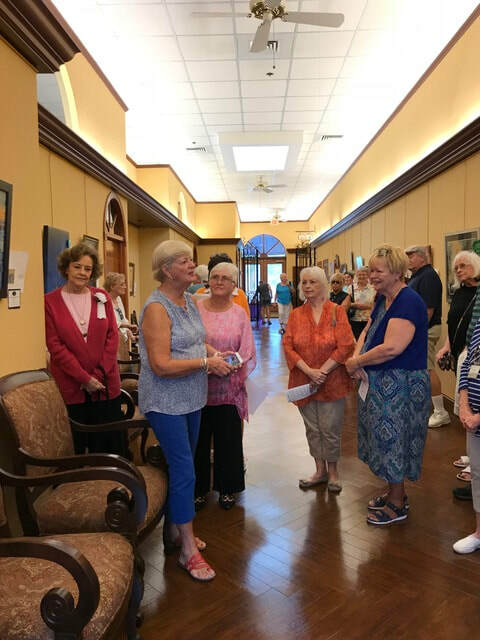 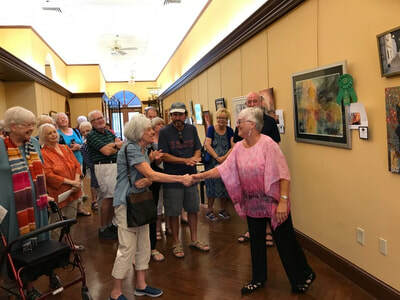 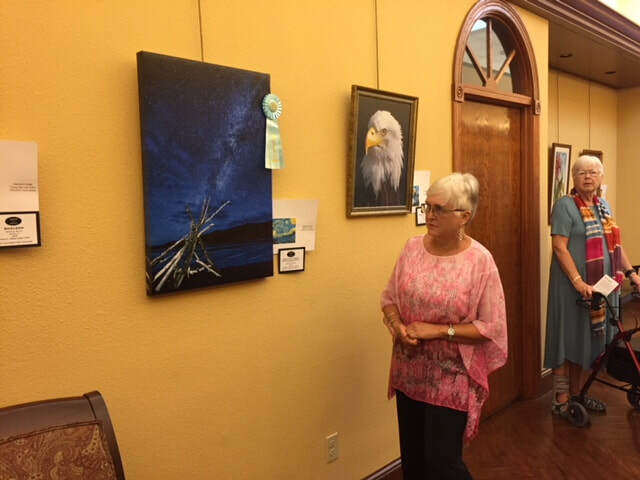 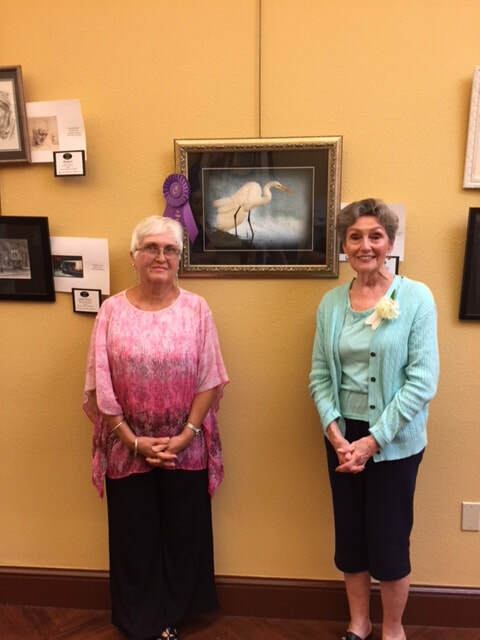 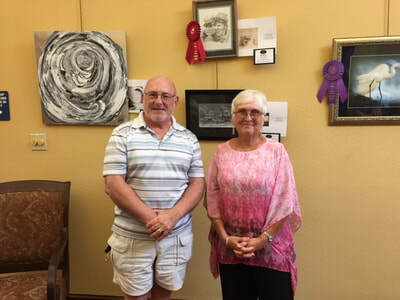 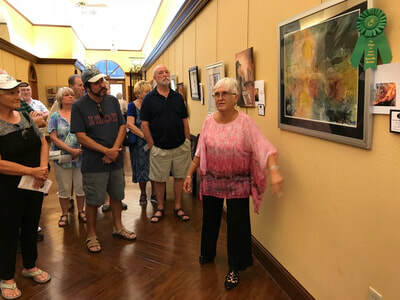 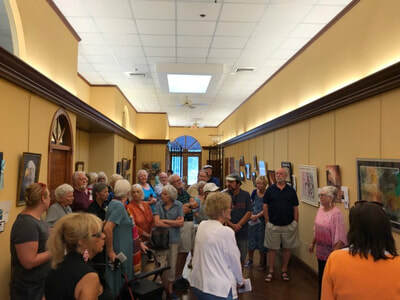 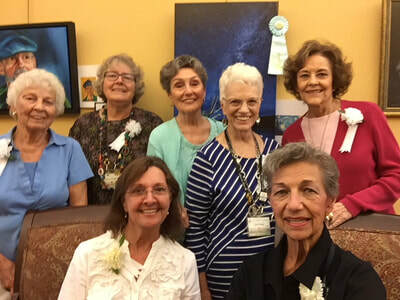 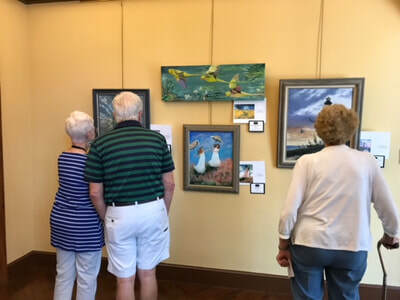 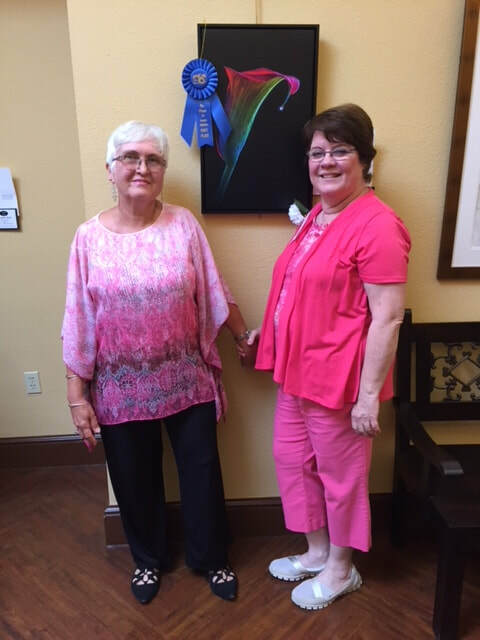 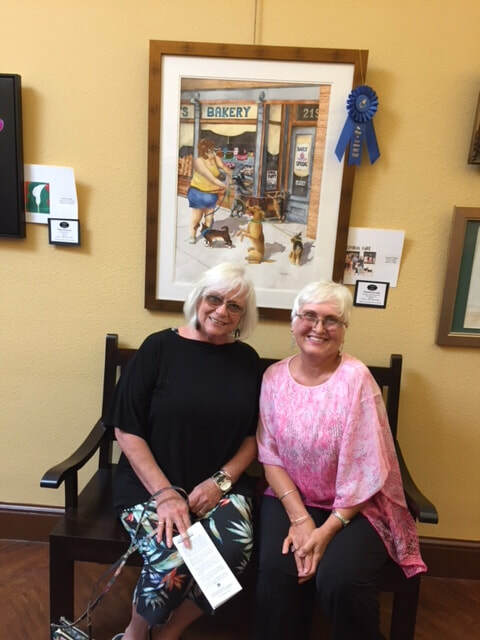 The Villages Art League held The Sixth Annual "Inspired by the Masters" Exhibit in La Galleria at La Hacienda Regional Recreation Center on Saturday, September 8th The Exhibit will run through December 8, 2018. There were 37 artists who participated in this year's Exhibit. 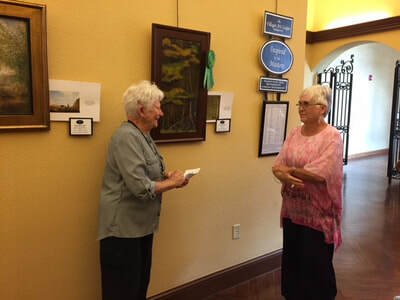 Congratulations to all who entered. 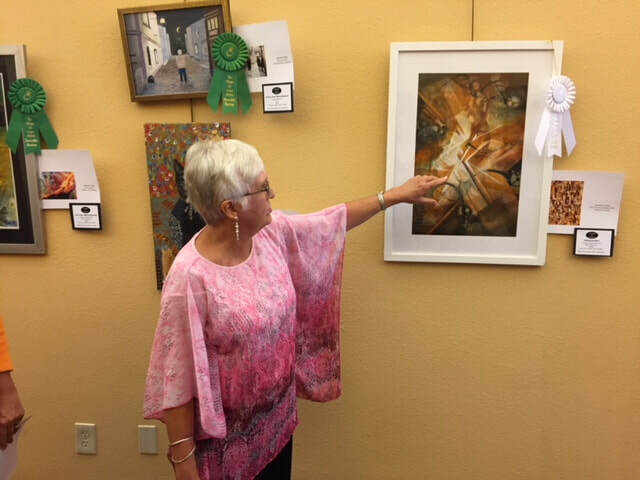 Miss Vicki Pritchard who judged this years Exhibit was very impressed by everyone's work and enjoyed speaking with the artists, Miss Pritchard provided a handout of her Elements and Principles of Design and Standards forJudging an Art Show to the participating artists at the Reception. 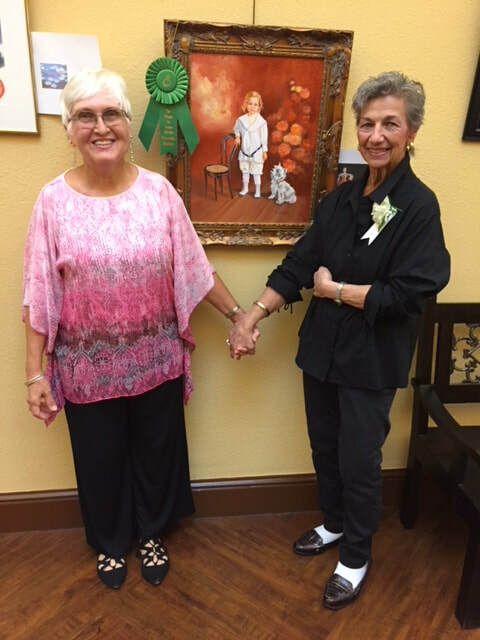 If you participated but did not receive your copy, please see me at the October Meeting. 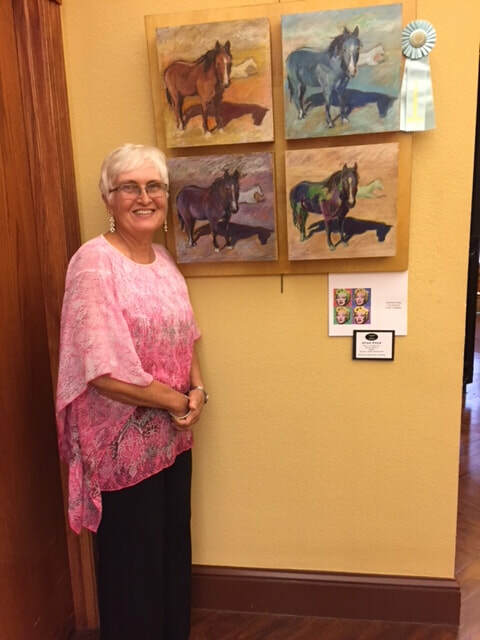 I will also have your Critique cards at that time. 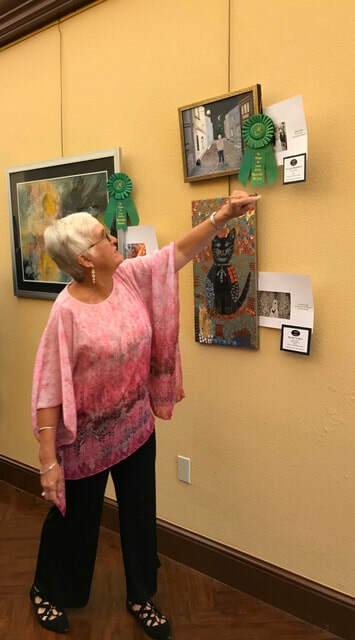 Agnes Brown - "Italian Roadway"
Betty Eich - " Milky Way over Great Sand Dunes"
Nan Kohr- "Take A Hike"
Sally La Baugh - "Utah Four"
Marge McQueston - "In the Beginning"
Catherine Sullivan - "Unconditional Love"
Jeanne Willette - "Lake Michigan Sails"
First Place: Photography: Diane Pattie - "The Calla"
First Place: Susan Jane Donohoe - "Temptation"
Second Place: Greg Smith -"Rebels"
Third Place: Frances Naughton - "Industry"
Best of Show: Helen Poor - "Beauty with a Broken Wing"